What’s next? A few words about my new movie. PRESIDENT BARTLET. On Tuesday he did the voice of Private Myrrl McBride (drawing on excerpts from this book) for my documentary feature film about the Bataan Death March, to be released early next year. He’s amazing. Every once in a while you get to work with A-level talent in Hollywood and you realize it’s like driving a Cadillac after years of being stuck in a run down old beater. Suddenly you are with a professional. You don’t have to do any directing, your material is so simple the star simply gives it one glance and says, “Got it,” and he does. You just sit back and enjoy. Until almost as if taunting you he finally turns and says, “Any suggestions?” and all you can say is, “Yeah, let me put you in a feature film I want to make.” Dream on. 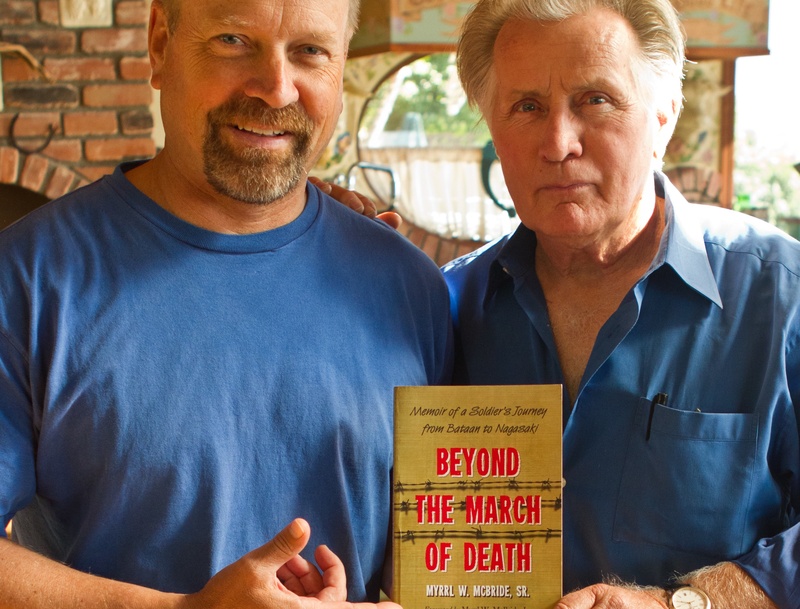 I spent Tuesday with the wonderful Martin Sheen who did part of the voiceover for my new movie about the Bataan Death March that I’ll be releasing next year. He’s absolutely the best.